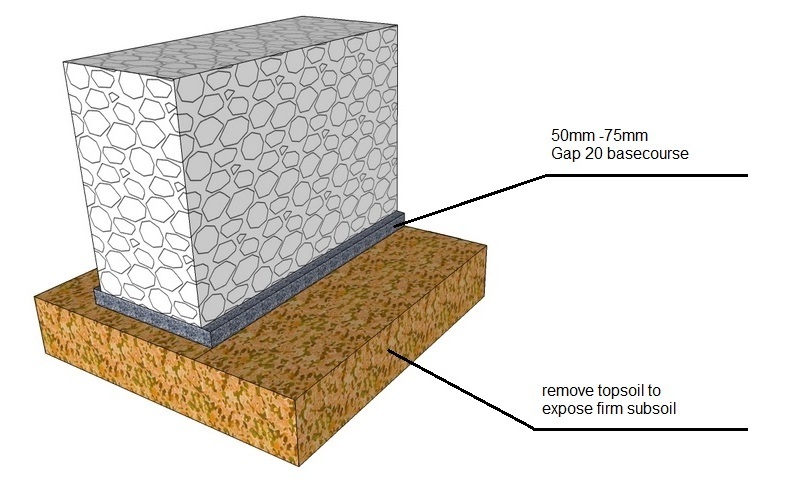 The required thickness of basecourse, depends on the actual site subsoil conditions. 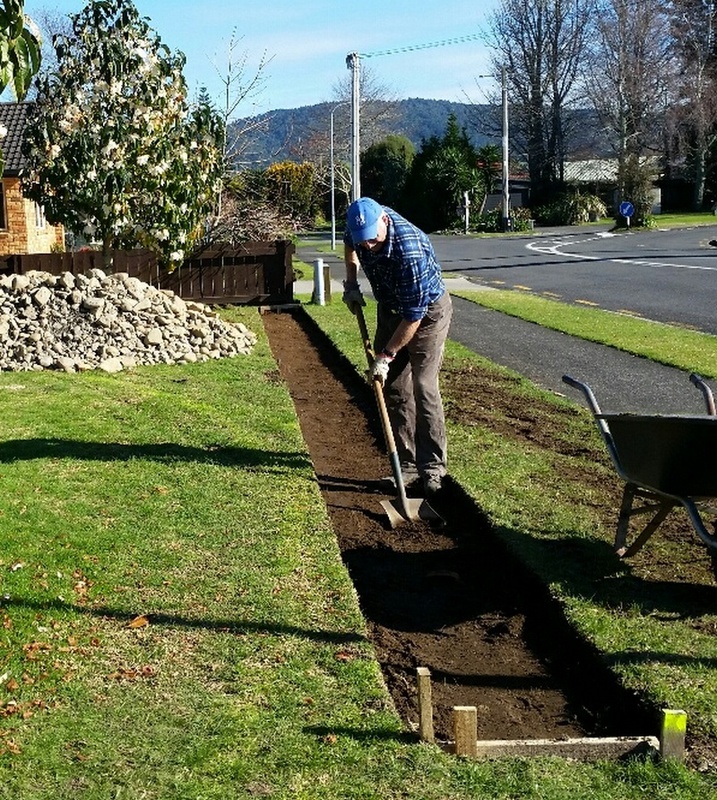 In general you will need to remove topsoil, peaty organic material, and softer subsoils. 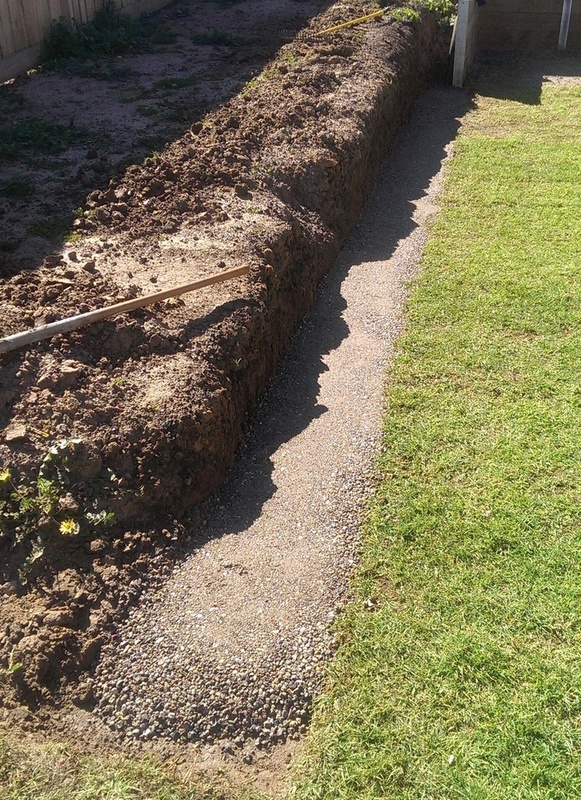 and replace these with compacted hardfill/basecourse. 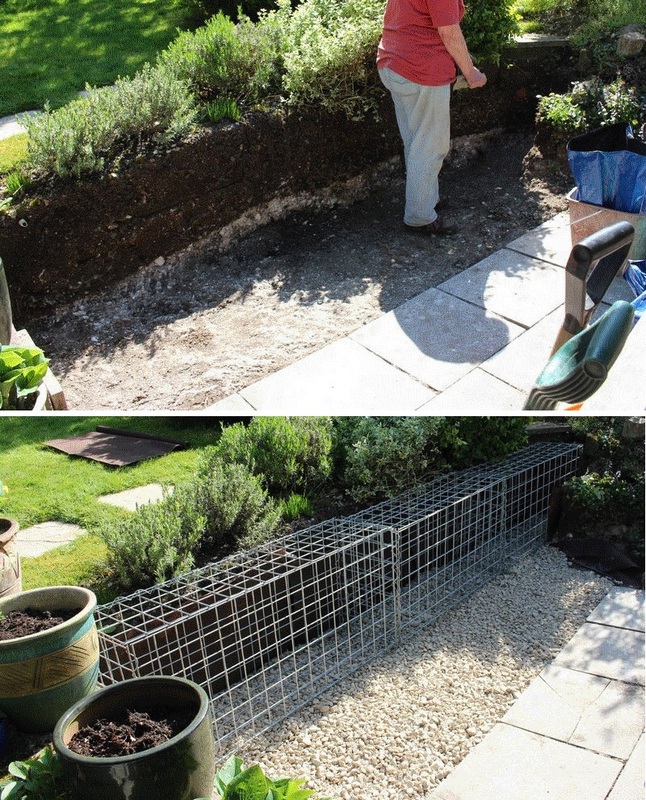 Most gabion walls do not require concrete foundations. 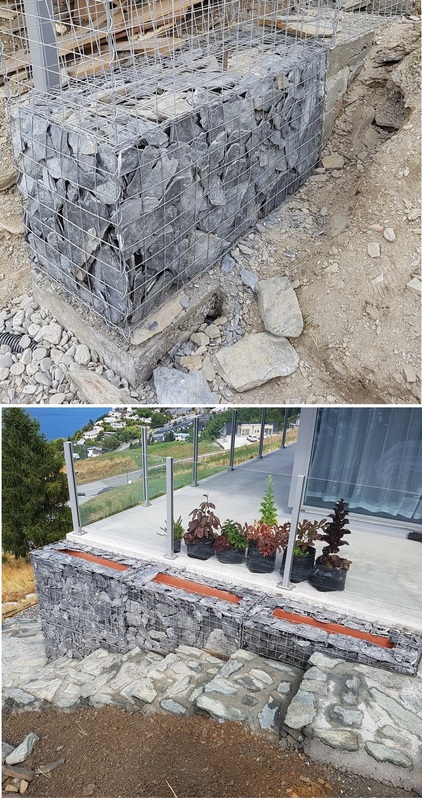 Small non engineered retaining walls, are unlikely to require Scala Penetrometer foundation testing, which accurately measures the subsoil bearing strength. 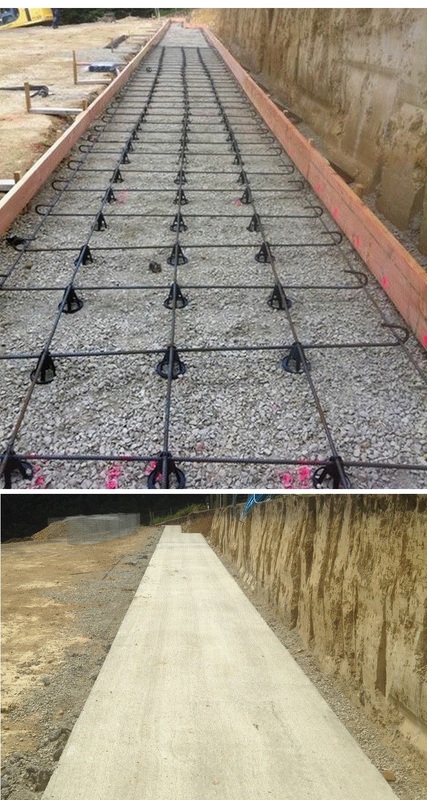 If you are unsure about the foundation requirements, please email us or talk to a local civil engineer. 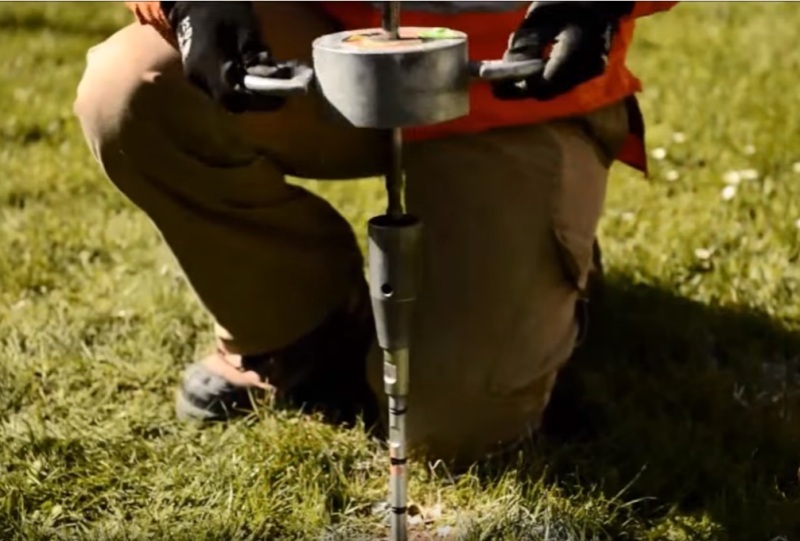 Proper compaction, eliminates future consolidation, and foundation settlement. 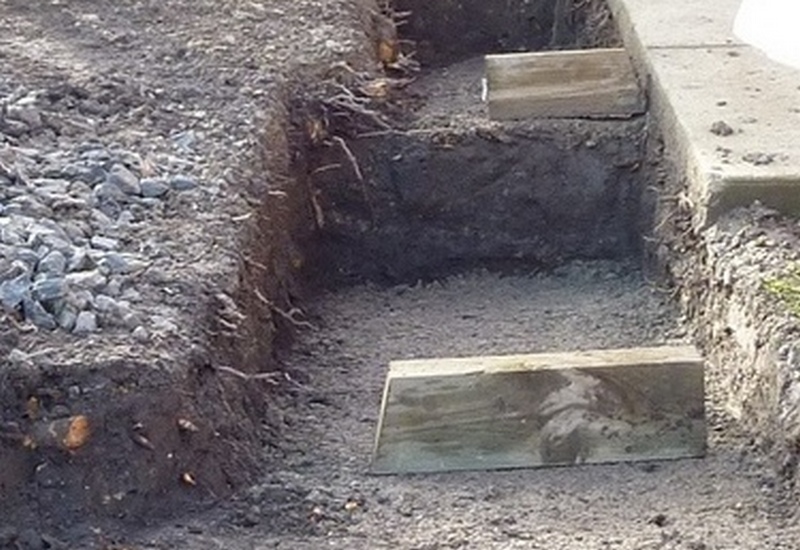 Some contractors place thin layer of sand over the basecourse for final foundation leveling. 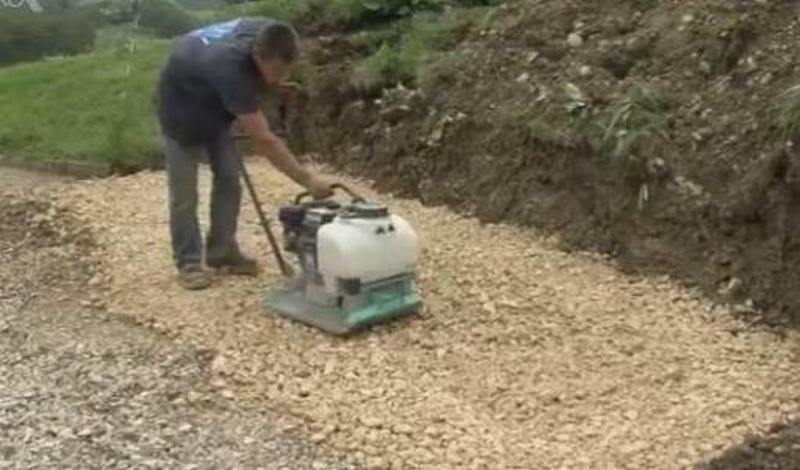 This should not be done on sites that have high groundwater flows. 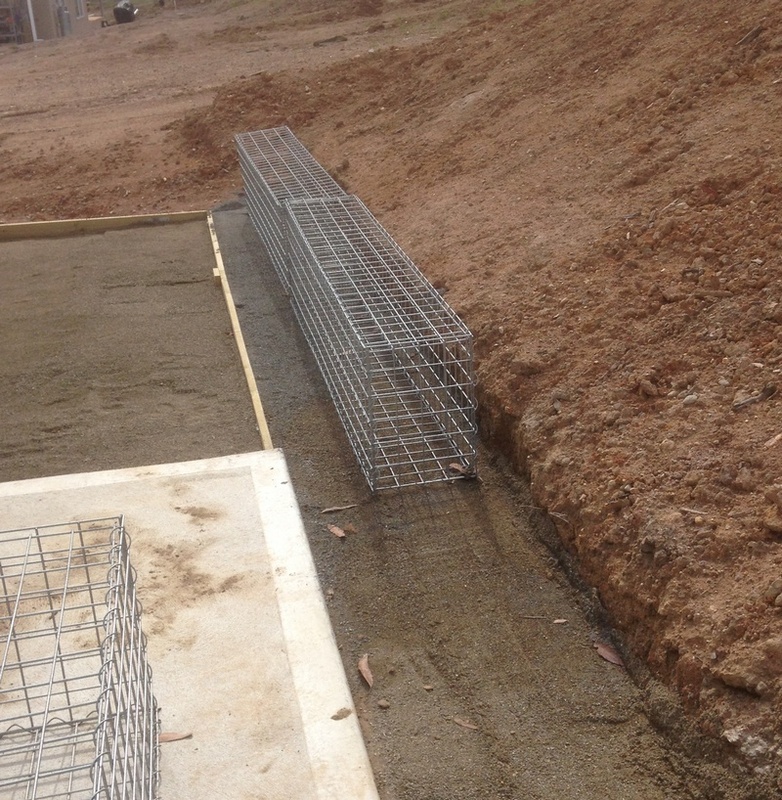 The concrete foundations were based on the gabion basket sizes being installed. 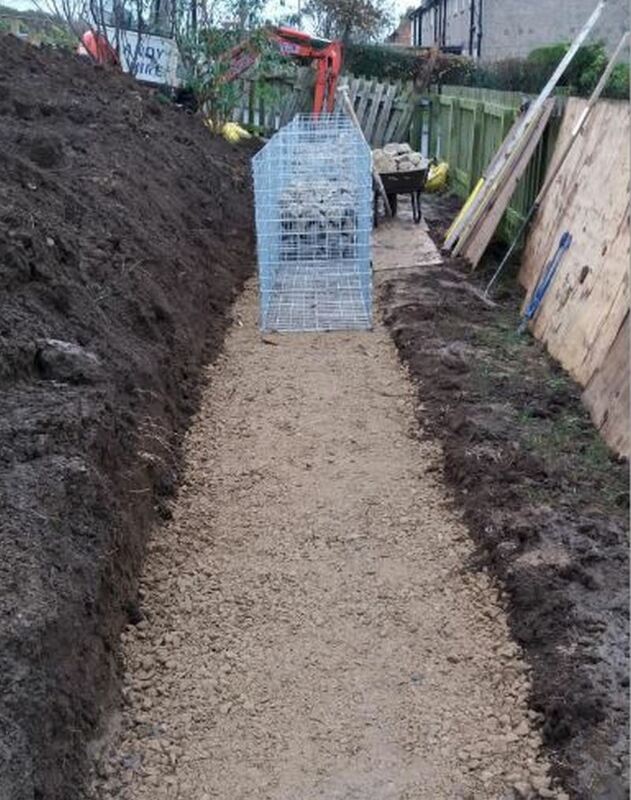 If you have any other gabion foundation questions, please email us some pics of your site with your questions. 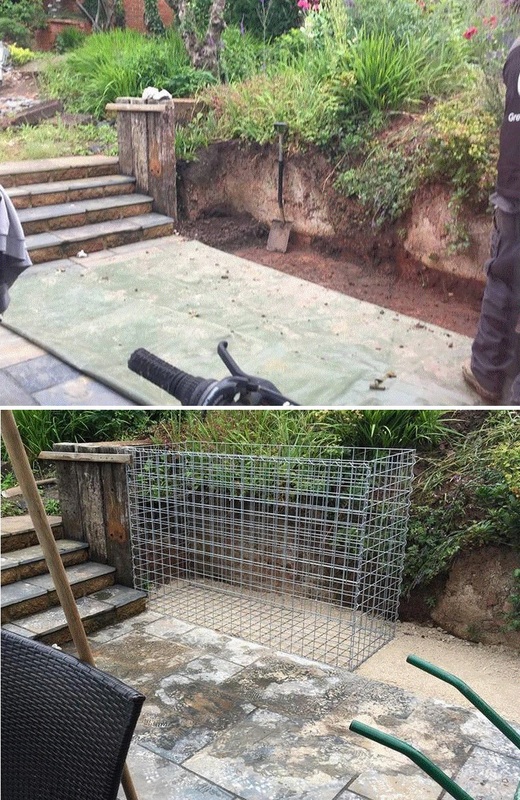 Spreading the load over a larger area, allows gabion walls to be built on weaker subsoils without expensive foundations.